My number one priority is to serve you, my awesome community, to the best of my ability. Over the last 8-12 months, Redefining Mom has pivoted to focus more on email list growth through Pinterest and even more specifically, promoted pins. It was during this pivot that I met an amazing entrepreneur named Elizabeth Buckley-Goddard, Lizzy for short. Lizzy runs one of the best membership sites out there called ConvertKit Club. She's not only a ConvertKit Certified Expert but she also lives and breathes everything ConvertKit on a day-to-day basis. She has built her business on delivering the best trainings possible on ConvertKit. I know recommending her is what is best for my friends looking to build their online presence through email marketing. 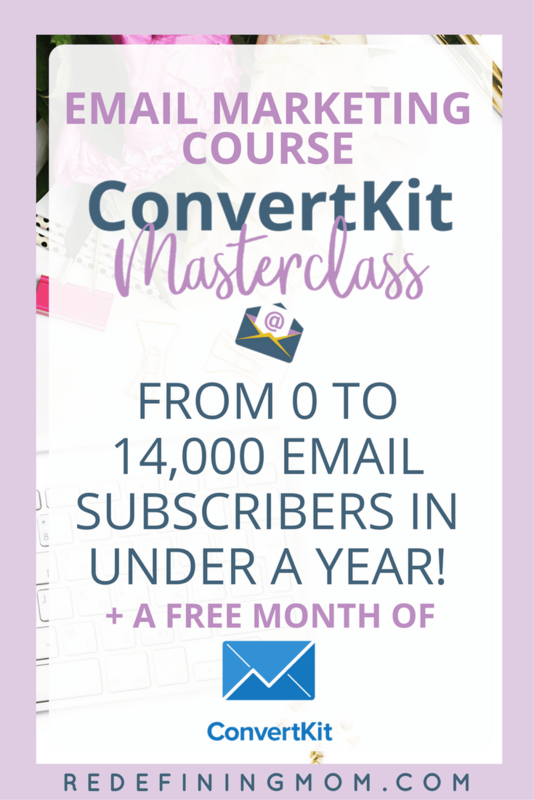 Lizzy has graciously extended one free month of ConvertKit Club to my community so you can try out her trainings and make sure it's the right fit for you. I truly believe Lizzy is your best choice for ConvertKit training moving forward. Below is my affiliate link for ConvertKit Club, this means if you stay in ConvertKit Club past your first free month, I will receive a commission from Lizzy for your enrollment. This is at no additional cost to you. If you are new to ConvertKit and would like to try it out first, you can sign up for a free month below. This is for new customers only. Below is my affiliate link for ConvertKit, this means if you stay with ConvertKit past your first free month, I will receive a commission for your enrollment. This is at no additional cost to you.